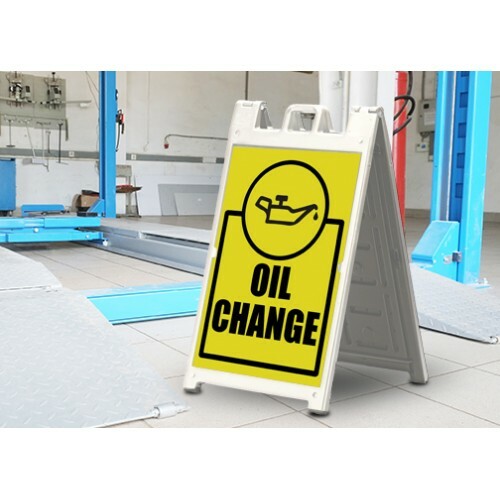 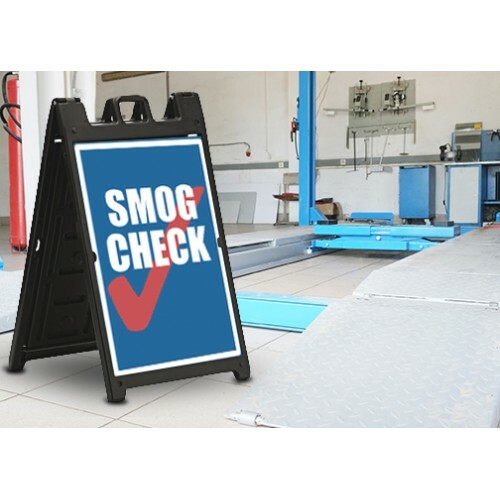 Deluxe-A-Frame-Signicade - Sign Solutions - Creative Sign Solutions, Inc. 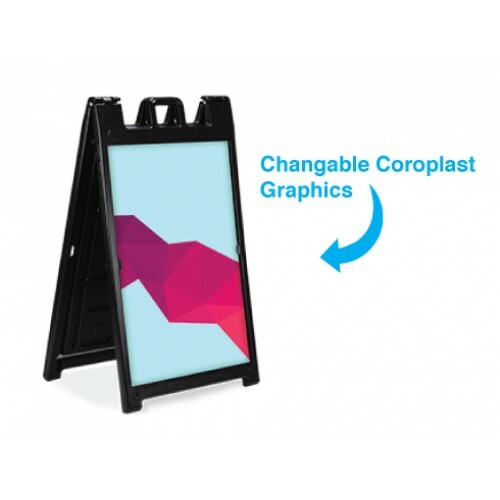 The Signicade Deluxe is the ultimate sidewalk advertising solution for those that need quick change graphics. 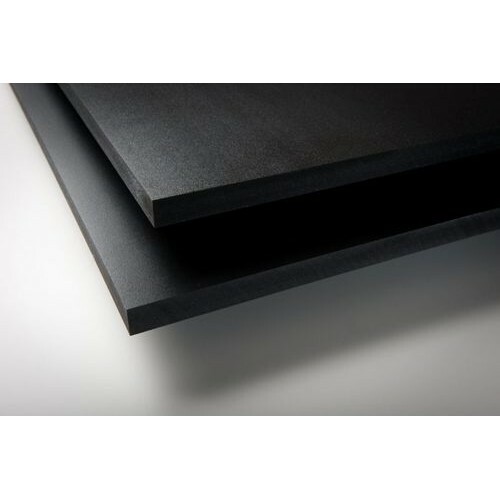 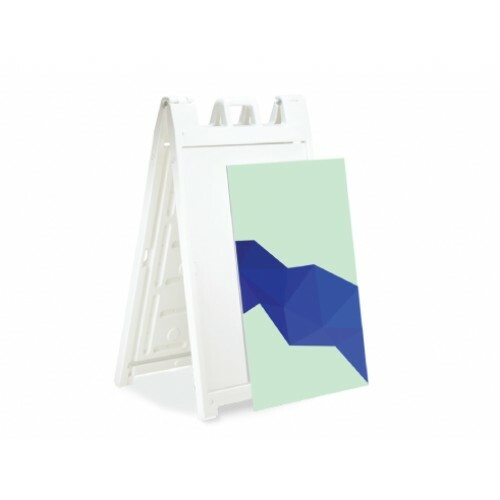 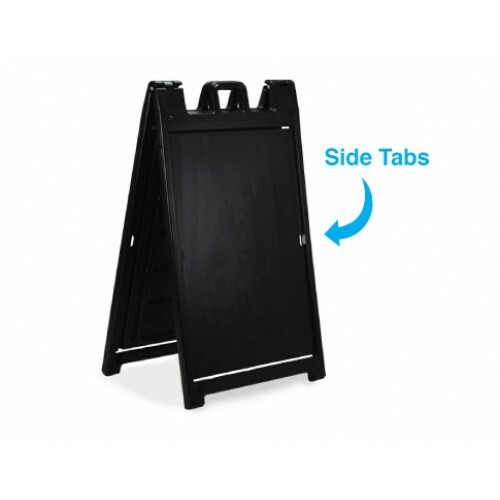 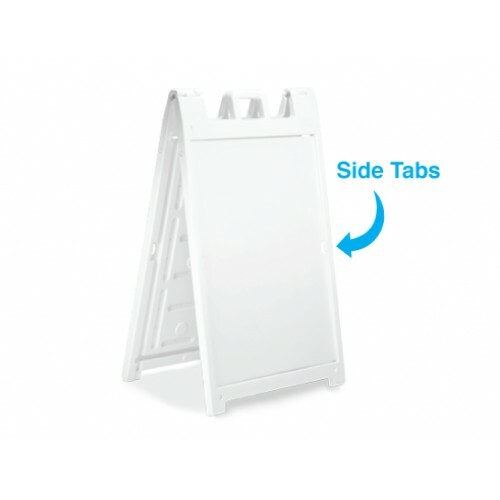 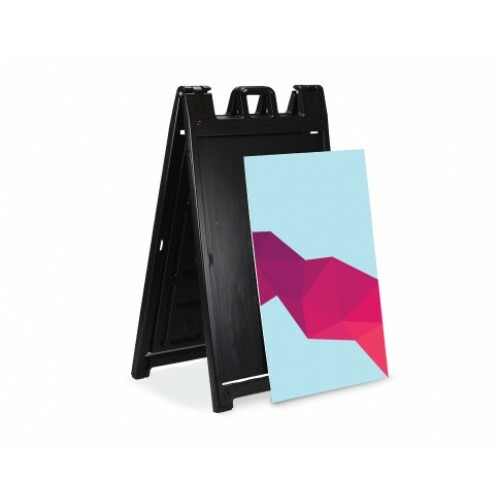 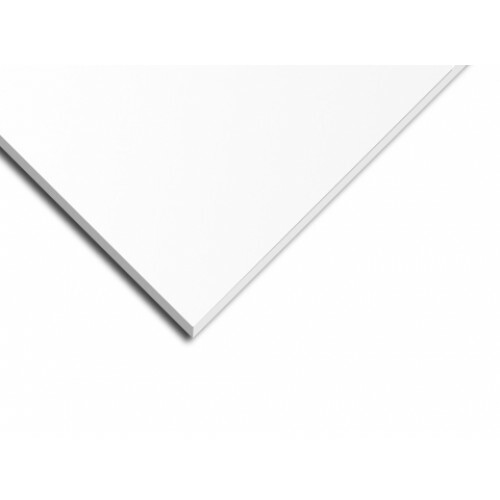 The heavy-duty plastic sandwich board has two recessed 24x36 inch graphic areas on the front and back. 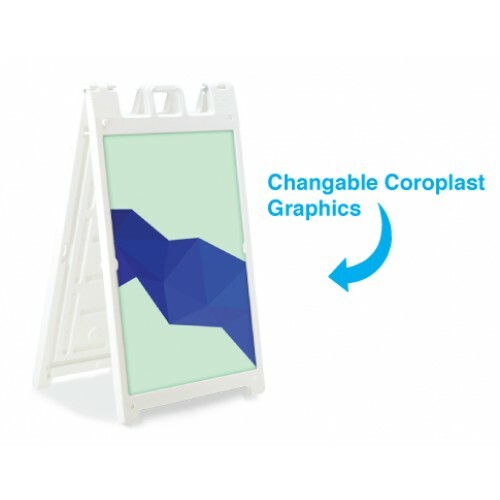 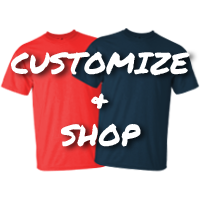 Graphics slide easily into place for full-color signage, swap out these rigid signboard inserts as often as you need.